Jokulsarlon Glacial Lagoon I, a photo by Christopher OKeefe on Flickr. 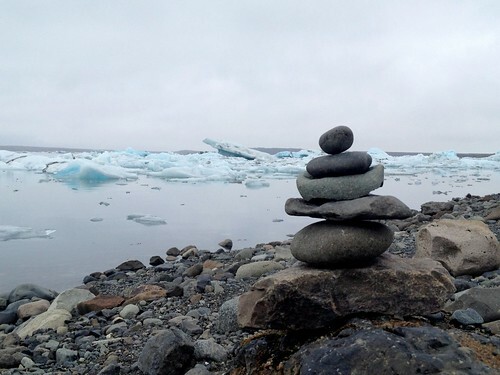 This picture always reminds me of travel; a small cairn on the edge of the Jokulsarlon Glacial Lagoon in Iceland. This entry was posted in challenges, Daily Prompt, photography, travel and tagged daily prompt, glacier, iceland, jokulsarlon, lagoon, postaday on September 30, 2013 by milfordstreet. Junk or art? This photo was shot on a day trip to Channel Islands National Park off the California coast. 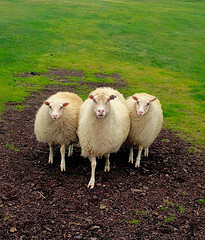 Prior to becoming a park, the island was a sheep ranch. The antique, worn out equipment was brought to the area near the visitor center and what some would consider “junk” is often photographed as “art”. 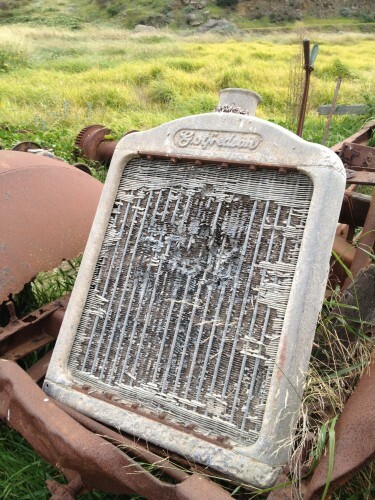 This entry was posted in challenges, Daily Prompt, photography, travel and tagged antique, california, channel islands, daily prompt, junk, postaday, radiator on September 29, 2013 by milfordstreet. 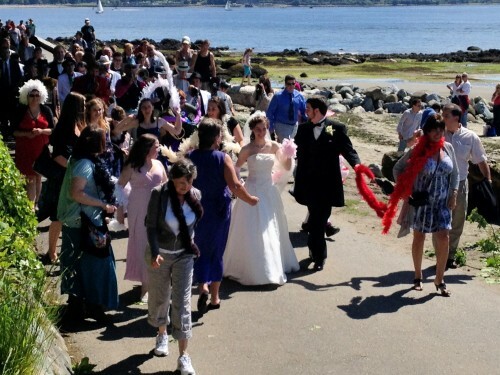 This wedding party marching through Vancouver’s Stanley Park to the music of New Orlean’s style jazz was full of LIFE. This entry was posted in challenges, Daily Prompt and tagged daily prompt, jazz, life, postaday, wedding on September 28, 2013 by milfordstreet. We spotted this while strolling around Reykjavik last summer. 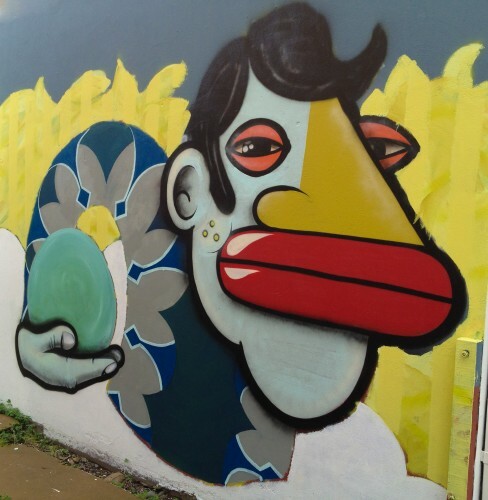 The city had some great graffiti. This entry was posted in challenges, photography, travel and tagged graffiti, postaday, reykjavik, saturation on September 27, 2013 by milfordstreet. Whitecaps 1, a photo by Christopher OKeefe on Flickr. Waiting….at the end of the day…she waited to get on the train and now waits to get off. This entry was posted in photography, street photography and tagged bored, daily prompt, postaday, subway, train, transportation on September 27, 2013 by milfordstreet. It was a rainy Sunday on the Westman Islands off the coast of Iceland. The rain and wind made hiking a less than desirable option, though I did manage to hike to the top of one of the volcanos. We had been trying to get a good photo of sheep all week and that is when we approached this pasture. Well, sheep are used to seeing vehicles pull up to the gate, usually when it is feeding time. They saw us and figured it was dinner time. The whole flock came rushing towards the gate with these three in the lead. There was just enough time to get out my camera to get this photo. BTW: Sheep are smart. After two minutes of “bah-ing,” they realized that we were not there to feed them and wandered off again. This entry was posted in Uncategorized on September 25, 2013 by milfordstreet. 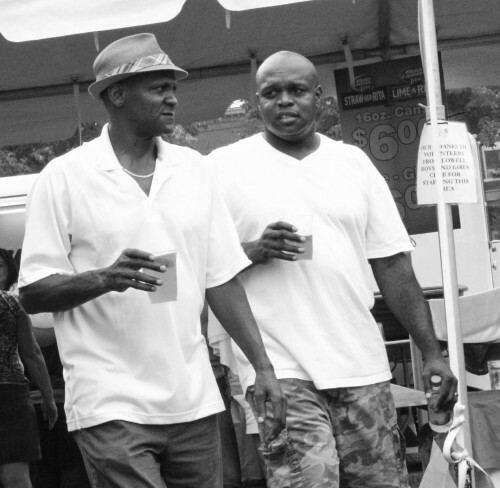 This was another of my early attempts at street photography at the Lowell Folk Festival. One thing I like about it is with looking at the clothes of the man no the left, this could have been taken many years ago – though the sign in the background for a $6 beer and the other man’s camo pants are a bit of a give away. This entry was posted in street photography and tagged beer, beer garden, Lowell Folk Festival on September 24, 2013 by milfordstreet.